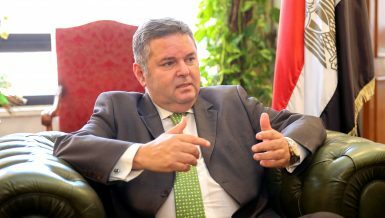 In November, the Egyptian administration floated the Egyptian pound to secure a loan from the International Monetary Fund (IMF). The Egyptian pound tumbled in forex trading in the aftermath of the announcement but reverted following a surge of the USD/EGP up to 19.80 in December. Since then, the exchange rate has eased, but the currency pair is now beginning to climb again. Inflows have been assisted by a surge in Egyptian stocks, but inflation remains high despite higher interest rates. 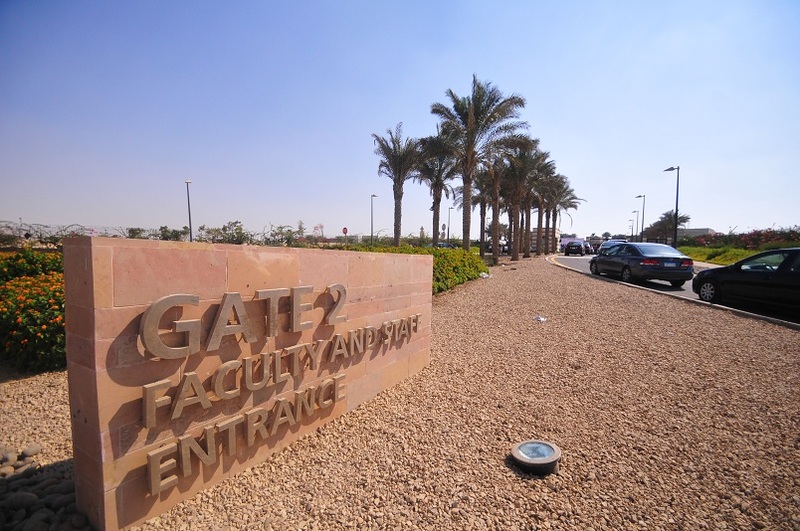 Egypt floated its currency in November 2016, as it was part of an agreement with the IMF that would qualify Egypt for a loan to improve its business environment. The pound lost more than half its value in December, but there is hope from officials that it will revert to higher levels. The decline in the value of the pound has pushed inflation higher, hiking fuel prices. The IMF expects inflation to revert to normal levels in the second half of 2017. 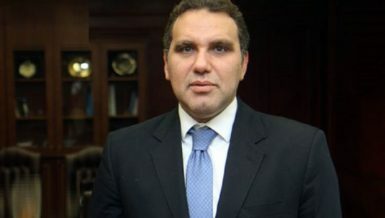 Egypt requested assistance from the IMF to raise capital and restore confidence after years of instability following the 25 January Revolution. Foreign reserves tumbled as investors withdrew funds, leaving a shortage of hard currency in Egypt. 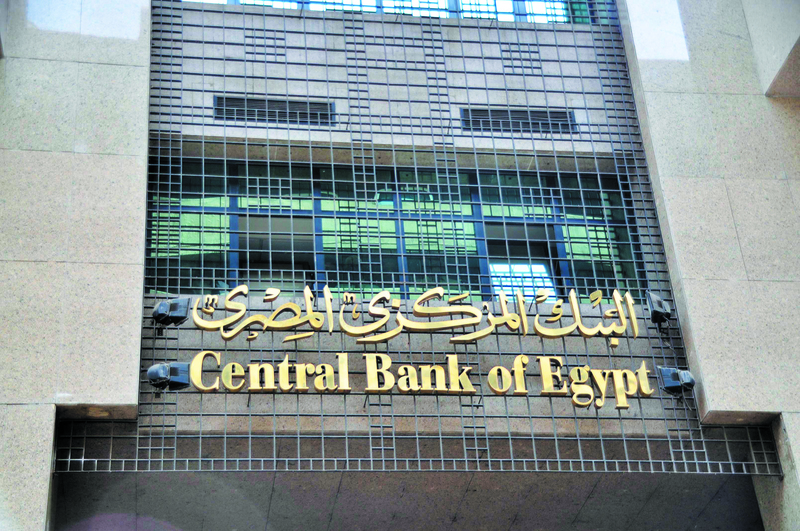 The Central Bank of Egypt (CBE) increased interest rates to boost the attractiveness of the currency. The CBE raised rates by 300 basis points to curtail inflation, but it has not been effective at reducing price hikes. The devaluation of the pound was one of the key demands by the IMF for Egypt to receive a loan. 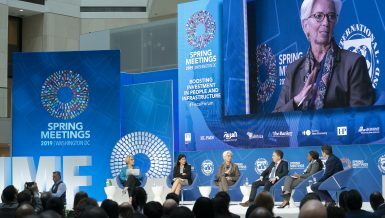 The IMF believes growth will take some time, but claims that it will eventually increase to 4% year-over-year, which is still below its real potential. Egypt recently cut its growth forecast from 5% to 4%. The IMF says that a tight monetary policy and fiscal prudency will hamper growth levels in Q1 2017. 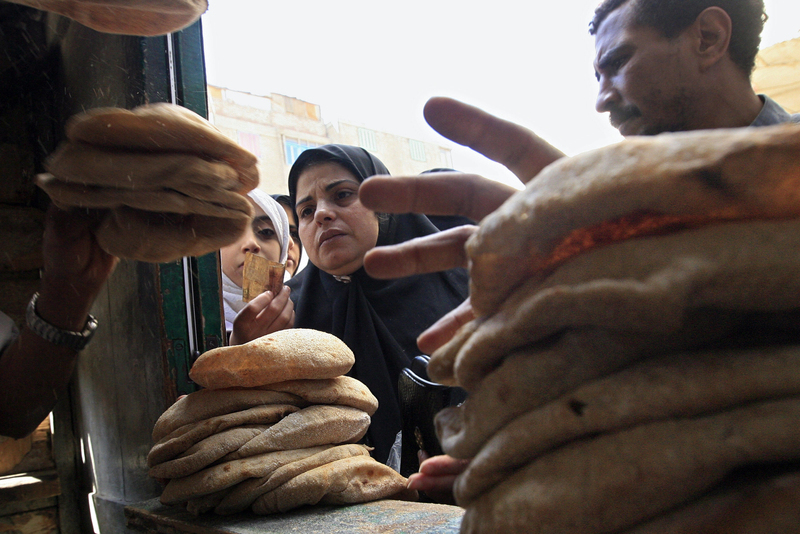 The Egyptian government plans to keep government wages unchanged and below inflation expectations, which will make purchasing goods more difficult. The goal is to reduce the budget deficit to 4.7% of GDP, down from 12.1% in fiscal year (FY) 2017. Another drawback Egypt has faced has been that of declining oil prices. Lower prices has reduced opportunities in nearby countries, further increasing the pool of domestic workers who are now looking for employment. Egyptian stock trading has surged higher in 2017, with the Egypt EGX 30 Index hitting a fresh all-time high at 13,544, and then reverting to the 12,677 level. 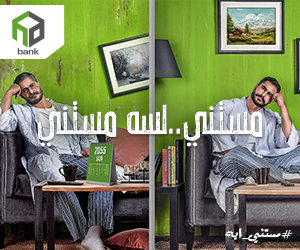 The surge in stock is a good sign, as it shows that money is returning to the Egyptian financial markets. The Egyptian pound has tumbled lower over the past two weeks with the USD/EGP climbing more than 9%, and recapturing the 17.5 EGP level. The exchange rate seemed to have bounced off of support near the 10-day moving average at 16.18. 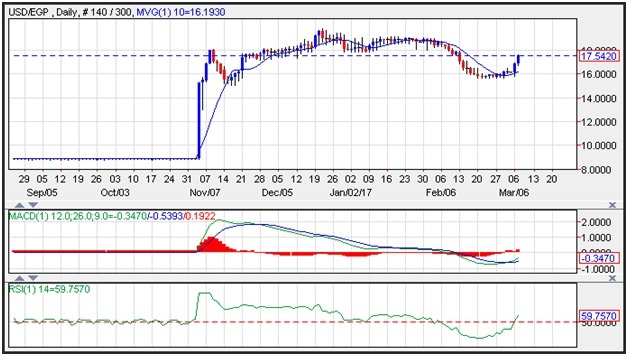 Momentum on the currency pair has turned positive as the moving average convergence divergence (MACD) index recently generated a crossover buy signal. This momentum indictor describes accelerating and decelerating momentum. The crossover occurs when the spread (the 12-day moving average minus the 26-day moving average) goes above the 9-day moving average of the spread. The index is now printing in positive territory with an upward sloping trajectory, which points to a higher USD/EGP exchange rate. The relative strength index (RSI) moved higher, reflecting accelerating positive momentum.